Jobs. Everybody needs one. For some, it’s hard to choose one’s line of work. For others, it may seem that your career has been chosen. For these badass mfers, the bounty hunting life chose them. 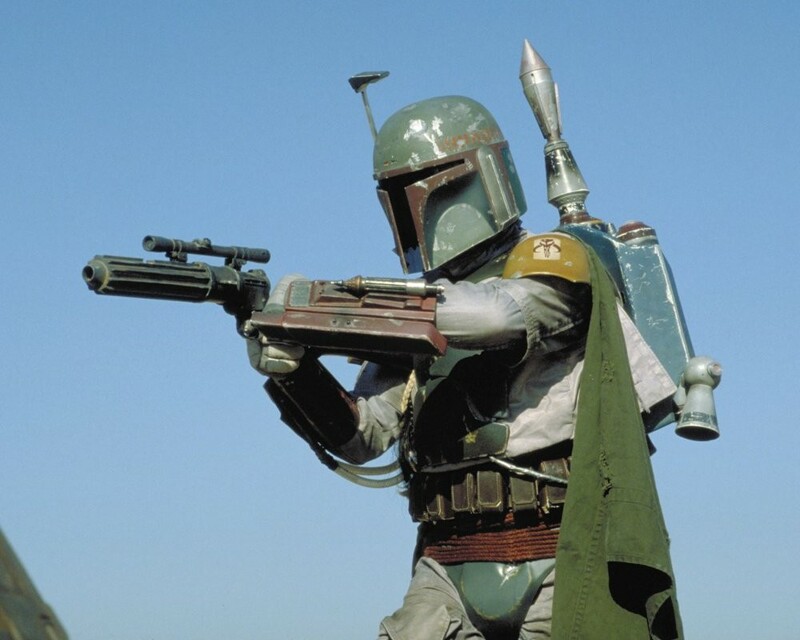 With the long rumored Boba Fett film recently announced to release in 2020, we’re counting down the 6 Most Badass Bounty Hunters in Film History! An actual bounty hunting machine. Drive or run as far as you like, no distance is too small for a Terminator. If you are the mission, it will find you. Across time and space? No problem! It’ll just hop in a time machine and kill you while you were camping in line for The Force Awakens. 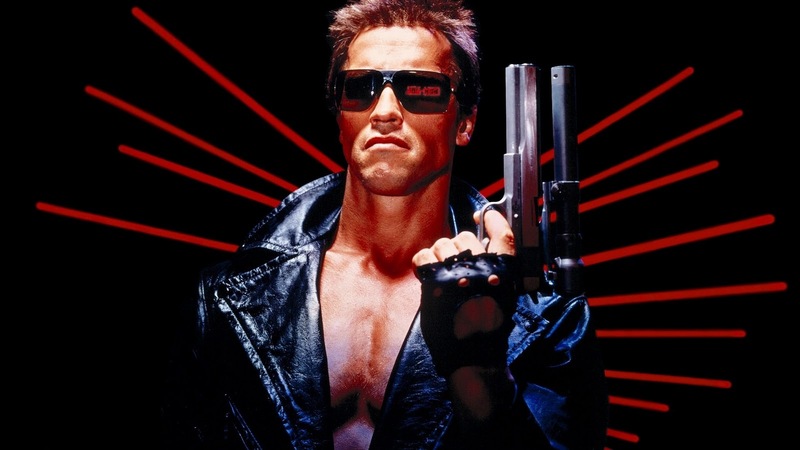 There’s no stopping the Terminator, it will be back! 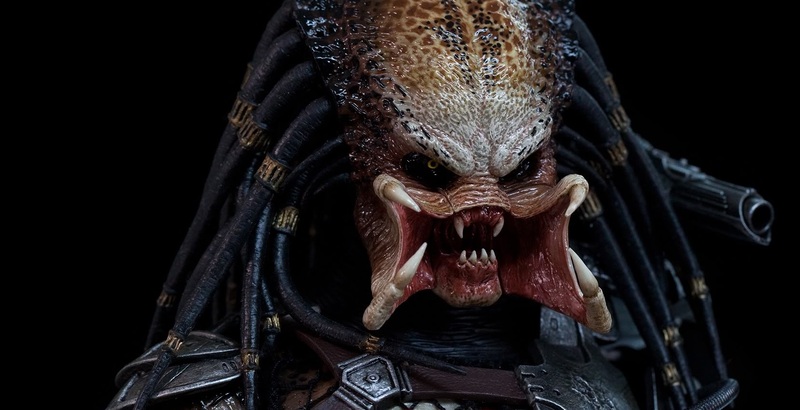 The Predator is one of the most badass bounty hunters because he doesn’t kill for money. We’re not even sure the Predators have a currency! Predator’s kill for sport and pride, making them impossible to bargain with. Dead or alive? That doesn’t matter to a Predator. Whether you’re in 60 pieces or it’s just your skull, The Predator is taking part of you for his trophy room. Probably not the greatest kisser. 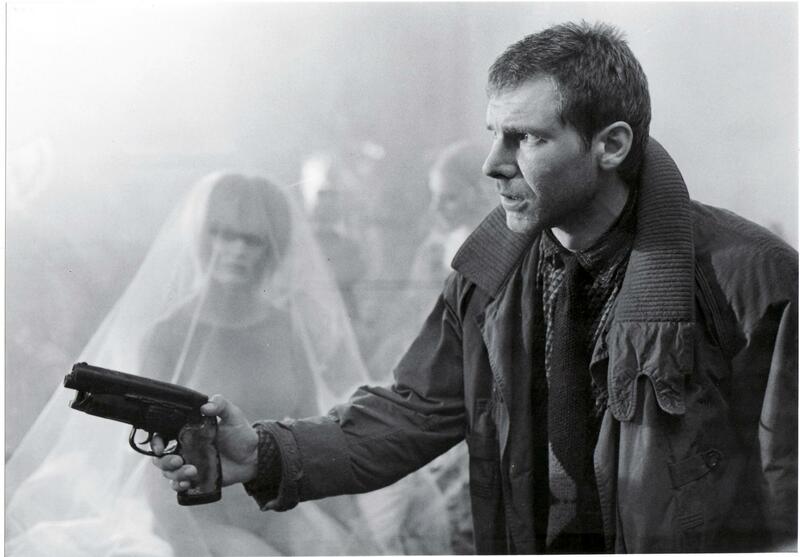 Bounty Hunting is a serious business and it doesn’t get more serious than hunting replicants in Blade Runner. Rick Deckard’s job is harder than other bounty hunters as he must first determine if what he’s hunting is robotic or human. If it’s a robot or replicant, Deckard has to “retire” or kill his target. The revelation at the end that Deckard is a replicant himself and has been killing his own kind for years, makes him one tragic badass. Killing robots never had so many feels. 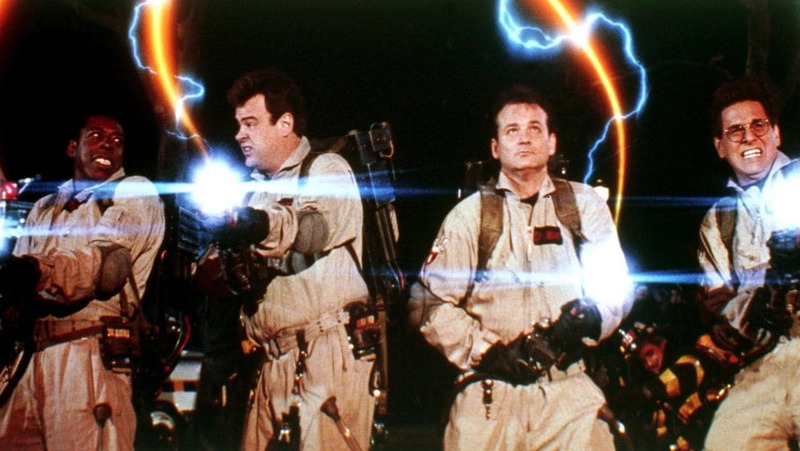 We know what you’re thinking, the Ghostbusters aren’t bounty hunters, right? Wrong! Their paranormal investigation business is basically a bounty hunting service for ghosts! You gotta respect these guys for suiting up and getting slimed when no one in New York would. Talk about some savvy entrepreneurs! 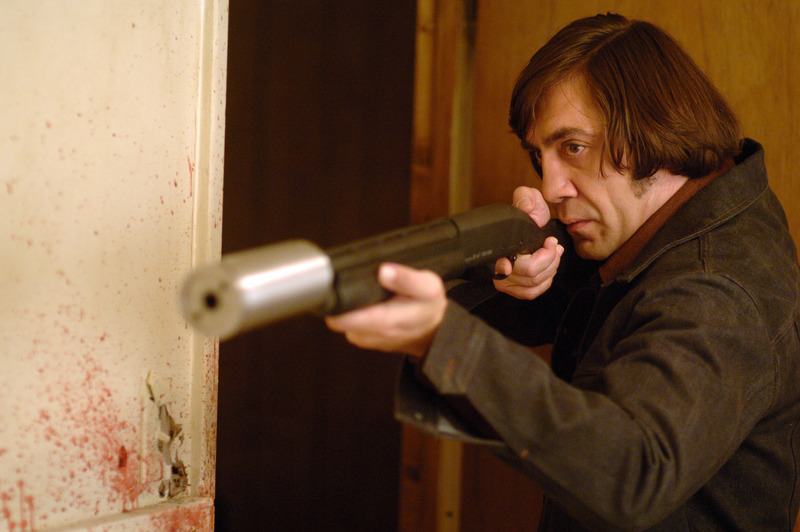 Between all of these vicious killers, Anton Chigurgh is the guy we don’t want waking us up in the middle of the night. His voice sounds like gravel falling down a treadmill made of chalkboards. At the beginning of the movie, Anton put an innocent gas station attendant’s life up to a coin toss. He’s so sadistic, he didn’t even pay for his candy bar or gas. Now that’s a psycho killer even Hannibal Lecter would run from! Look up “Bounty Hunter” in the dictionary and Boba Fett’s helmet will be front and center. Jango embodies what a bounty hunter should be: dangerous, yet calm and focused on his mission. He was the one to capture the infamous Han Solo and send him to Jabba. Boba literally had less than 5 minutes of screen time between Episode V and VI, but his jetpack and cape have made him a fan favorite for decades. Even his terrible death by a blind Han Solo hasn’t tarnished his claim to the most Badass Bounty Hunter! Ladies love Boba. Boba don’t care. Who do you believe is the most badass bounty hunter and why?